Neil D. Robson farmed nearly 1,200 acres of crops in Burlington County. Neil and his wife, Jean, were the proprietors of the successful and popular Robson Farms and Greenhouses in North Hanover and Robson's Farm Markets in Springfield, Southampton and North Hanover. Neil believed in the future of agriculture. So much so, that he preserved over 500 acres of his property to be maintained as farmland forever. He served as the president of the New Jersey Farmers Direct Marketing Association, the vice chairman and acting chairman of the Burlington County Agriculture Development Board, past president of the Burlington County Board of Agriculture, past president of the Vegetable Growers Association of New Jersey, and as a member of the North Hanover Township Planning Board and chairman of its Agriculture Advisory Board. 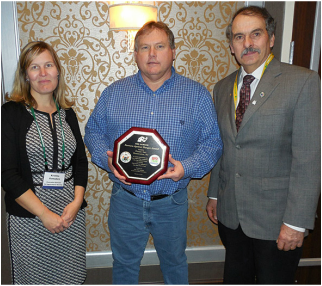 Neil was the third generation of the Robson family to farm in New Jersey and received countless awards for his contributions to the agricultural industry. American Vegetable Grower Magazine named him as a finalist for National Outstanding Farmer of the Year in 2005, the Vegetable Growers Association of New Jersey named him Grower of the Year in 1996, and the Burlington County Soil Conservation Service named him as Cooperator of the Year in 1994. Neil was named as both Burlington County's and New Jersey's Outstanding Young Farmer in 1993. Also that year, he was named one of the New Jersey Jaycees Ten Outstanding Young Citizens, and Neil was Farm Credit of New Jersey's Outstanding Young Farmer in 1988. In addition to dedicating himself to his family and to his farm, Neil was a great humanitarian who, every week, would donate an average of 800 pounds of produce to the New Jersey Agricultural Society’s Farmers Against Hunger program. Additionally, he opened his farm to gleanings, in which the program partners with schools and other groups to pick surplus produce.